Create A Classless Society Click Here! Inequality And Inhumanity Click Here! To Those Who Need It Click Here! The word "Samyak" is a Sanskrit word which means good and the word "Samanata" is an Odia word which means equal. We dream of an India where everything will be good and everyone will be equal. This dream can truly be spoken by the name "Samyak Samanata" and so the name. Samyak Samanata is a revolution; a revolution against our unsocial political system; a revolution to create a classless society where both the poor and the rich will be treated equally and can enjoy all the rights truly equally. This is the theme behind our tagline which is "A Revolution for the Social and Economic Equality". Diptimayee is the only daughter of her parents. For a long time she is suffering from Cancer. A tumor grows on her face covering the whole face. She is struggling to live a life once she dreamed of. 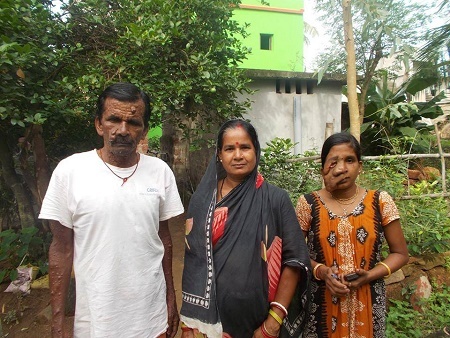 The disease is curable but her father is a farmer and can't afford the cost of operation. So they go for temporary operations to remove the tumor which grows back within few months. But she is a surviver, despite all these all these problems she is trying to complete her graduation course and wants to study further. Laxmi, Raja, Barsha and Damayanti are 4 very lovely kids but are not very fortunate like others. 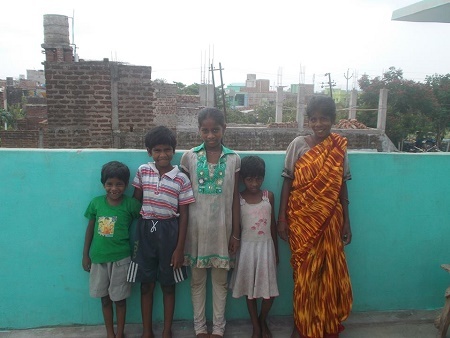 They were born in a slum but later were brought to footpath as their slum was demolished. Then oneday we found them begging on the streets and then we made them a part of our Samyak Samanata family. Now they are living with their parents in a safe home, going to school and trying to live a normal life like other kids. This group deals with long term problems and tries to find the solutions to them e.g. proposing what economic policies the government should adopt so there won't be any slums or people living in footpaths, what changes our current judicial system needs to make itself truly available for the common man etc.